How do I Prevent Multiple Alpha Application Servers from Running? 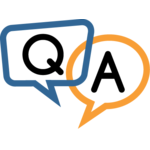 Q & A: How do I Prevent Multiple Alpha Application Servers from Running? I am using AlwaysUp to control my Alpha Anywhere Application Server. I have noticed that if I go to Task Manager that I would sometimes have more than one instance of AlphaFive running under processes. Would you perhaps have any idea how to prevent this? Scan the system’s processes for all instances of A5ApplicationServer.exe, the Alpha Anywhere Application Server executable. Launch Alpha server, as configured. This process guarantees that the instance of Alpha Anywhere launched by AlwaysUp will be the only one running — ensuring that your web server gets all the ports (and other resources) it needs at startup. But while this approach effectively “clears the stage” for AlwaysUp, it will not prevent a second instance of Alpha from starting after the AlwaysUp-controlled instance is running. You may still see multiple copies of Alpha in Task Manager. Do you have a shortcut to the Alpha executable (A5ApplicationServer.exe) in your Startup folder? Is there a scheduled task configured to launch Alpha? Or is there an old installation with Srvany still present on your system? Since you have AlwaysUp managing Alpha server as a Windows Service, no other “automatic launch” solution is necessary. Indeed, having multiple methods in use will only cause confusion! Please disable all “automatic launch” solutions other than AlwaysUp. But it can be difficult to find all the places where Alpha is being launched automatically. We recommend using Microsoft’s free Autoruns tool to help you identify (and disable) each location. Best of luck with your website & business!